As a leader in innovation, we are constantly setting new standards in laser manufacturing. Building on the success of its original WorkForce Pro printer range, Epson Australia has launched two new business inkjet devices - the WF-C5290 and the WF-C5790. Have you thought about getting your staff involved in work related training? Print N Cut Solutions have teamed up with Roland DG and the Mobile Imagination Centre! In 2018 Women in Print (WiP) will celebrate its 11th year providing a unique forum for women working in the print media industry to expand their networks and, at the same time, learn from some of Australia’s leading businesswomen. Fujifilm Graphic Systems is pleased to announce the sale of the region’s first two Inca Onset X series UV flatbed printers to Active Display Group (Active) - one of Australia's most awarded retail industry, POS, display and signage manufacturers. Vehicle Finance can be confusing. What should I look out for in an excellent finance product? 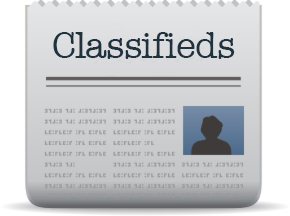 Click here to view Visual Connection's latest classifieds online, whether your looking for a career or purchasing machinery Visual Connection has a listing of career positions and second hand machinery. Visual Impact Brisbane 2018 starts TOMORROW! Visual Impact Brisbane 2018 - 1 week to go ! VI Brisbane 2018 - You're Invited! as trade associations running PacPrint, Printex, Visual Impact Expo, VI enews and VI magazines - Click here to Unsubscribe.